This tattoo was designed for Georgia to follow the line of her breast. It contains elements representing family (the turtle right in the middle for its importance, with flax leaves and braid nearby. On one side, a boar tusk recalls her home country, Vanuatu, while on the other side two chasing birds represent help to the loved ones and voyages. 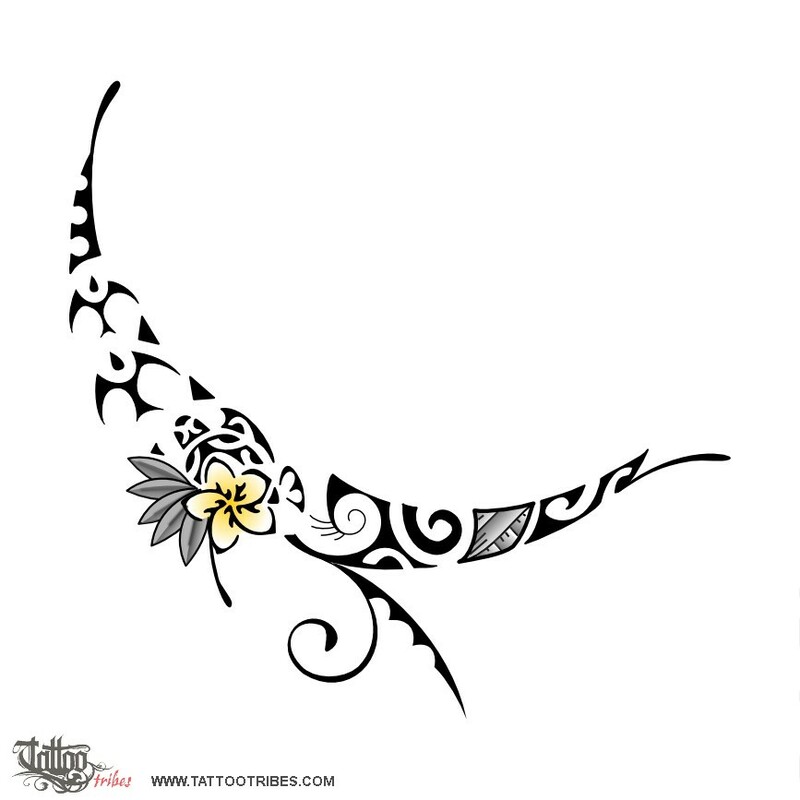 The frangipani flower is a symbol of beauty and femininity, and of safe shelter too. Waves symbolize change and the koru represents new beginning.